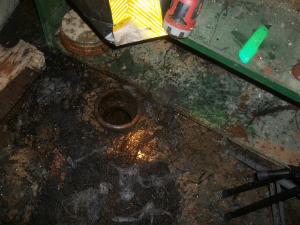 Sewage line failure can be an extremely hazardous event. Viruses, bacteria, and other microbes that are present in the sewer lines can infiltrate your property and saturate your property. In addition, if not treated in a timely manner, tiny microorganisms can disperse into the air, contaminating your HVAC systems and indoor air quality of the unaffected areas of your home or commercial building. If a sewage line fails on your property, you have to act immediately. Rainbow International is a full service restoration company who can handle any type of sewage and drain back up situation. 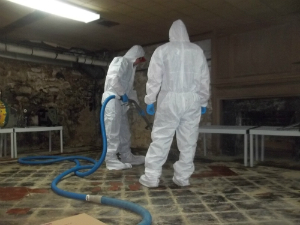 Certified by the IICRC (Institute of Inspection, Cleaning and Restoration Certification), our technicians are trained and equipped with the proper equipment and knowledge to properly address your unique situation. Servicing the Elkton, Pikesville, Joppa, Cockeysville, Bel Air, Baltimore, and the greater Northeastern Maryland area, we are always available. Dispatchers are on-hand 24 hours a day, 7 days a week and 365 days a year, and will work promptly to send a technician no matter the time of day. Call Rainbow International now at 410-836-2445 to discuss your sewage line back up and learn how we can restore your property quickly and effectively. As business and homeowners, you have a lot to think about regarding routine maintenance of your properties. It is easy to take care of the situations that are easily visible such as roof repair, carpet maintenance, landscaping of lawns and other immediate issues. However the most severe of situations can happen at a moment’s notice, which may not be clearly visible. One day you may notice a slow running drain, or gray water that backs up from the laundry or dishwasher, or visible puddling on the ground having that distinct odor of sewage. It seems to occur suddenly, but the problem may have been festering for quite some time. Your first instinct may be to mitigate the problem—first by cleaning up the mess. But, when it comes to gray water, sewage backup, or actual sewage puddling on the ground, you need a professional to take the lead. 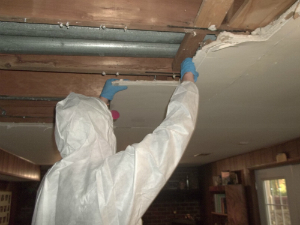 Hazardous micro-organisms such as Pinworms, Salmonella, E-Coli, Hepatitis A, Rotavirus, and Shigella are typically present, and depending upon the nature of the backup, it is likely to have absorbed into the drywall, carpet padding, or other areas that are not easily visible to you. Cleaning it up yourself will not be the safest nor most effective option. When you choose Rainbow International, you can rely on professionals to arrive quickly to help mitigate areas of your property affected by sewage and drain problems. Our technicians are certified by the IICRC and understand the proper way to restore your property back to its original state. 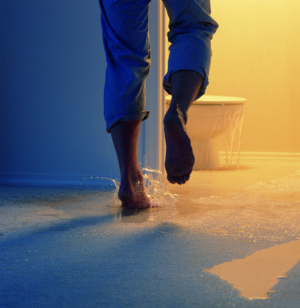 To avoid an unexpected sewage or drain back up situation, there are a few things you can do. Regular Inspections: Hire a plumber to periodically check your drain lines and pipes. This contractor will be able to identify any build-up or issues that could facilitate a sewer line from seeping into your property. You can also have the plumber install a backup valve on your lowest drain line for additional protections. Consider a Installing a Clean Out: Most homes using city water will have a cleanout valve located on their yard. To prevent backups, have a plumber find and clean out that valve periodically in order to keep it properly functioning. Do not have one on your yard? Have one installed instead. 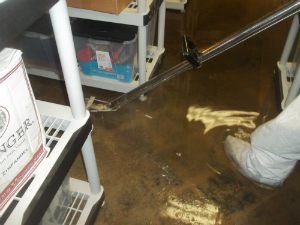 If you ever experience a sewage or drainage backup, do not hesitate to call the professionals at Rainbow International 410-836-2445. 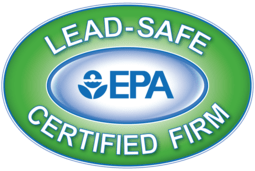 Servicing the communities of Elkton, Pikesville, Joppa, Cockeysville, Bel Air, Baltimore, and the greater Northeastern Maryland area, we will only send out technicians who are fully certified by the IICRC. Rainbow International employees are professional and courteous. They get the job done for you 24 hours per day, 7 days per week, and 364 days a year. Sewage and Drain issues should not be left to just any restoration contractor. You need to place your trust in a company that has a strong reputation, great references and a track record of success. Rainbow International has over 30 years of experience, national locations and a commitment to customers. When you pick up the phone to call Rainbow International, rest assured, we will get the job done right. With a team full of trained technicians, dispatchers available 24/7 and access to a national network, we have the resources required to quickly address your unique situation!